As Ypsilanti Workers’ Compensation is a required coverage for the majority of businesses, it’s important to understand how to manage claims. While your employees’ safety is a first priority, accidents can happen. Managing these claims efficiently and promptly can help reduce liability and employee backlash. Therefore, consider the following steps after an accident. 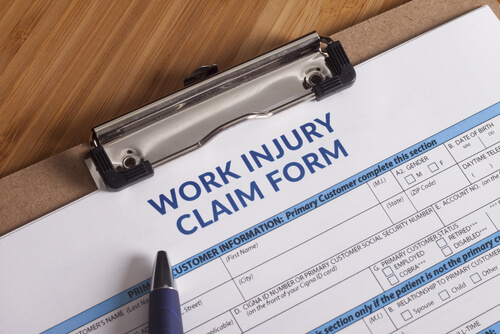 A recent Harvard poll studied the correlation between the speed with which a workers’ compensation injury is reported and the total cost of the claim, according to Lanier Upshaw– it found that the longer the employer waited to report the claim, the more money it ends up costing them. Therefore, don’t hesitate, report the claim to the insurance company immediately. Identify exactly what happened while it’s still fresh in everyone’s mind. The claims adjuster and the supervisor should interview the victim and the witnesses to determine who was injured, what happened, where it occurred, and how. Photos, witness testimony, and notes should be collected about the incident and documented. Store it in a safe place with dates and labels, as well. Allowing the employer to have access to the employee’s medical records can help the process run more smoothly and prevent delays in treatment. Identify when the employee can return to work to minimize backlash and show the employee that he/she is valued. What’s more, productivity and morale will be less negatively affected, as well. Don’t underestimate the value of checking in on your employee. See how they are doing, make sure they are attending their appointments, and see how they are recovering so they don’t feel alienated. At Thayer-Innes Insurance Agency and Freeman Bunting Insurance Agency, we are committed to solving your business’ workers’ compensation needs. We strive to offer customizable plans to protect against your unique risks. For more information, we invite you to contact us today at (855) 395-6316.